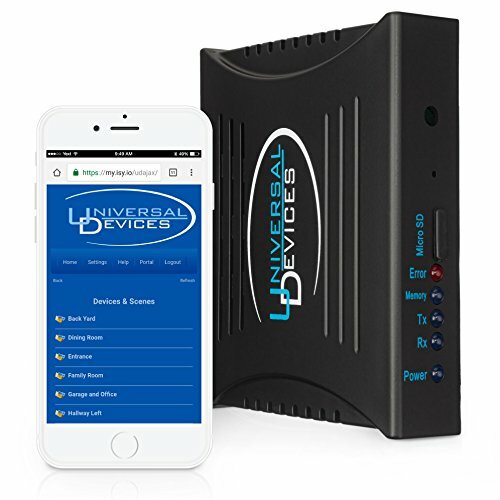 From Universal Devices is the ISY-994i Home Automation Control System, bringing you the convenience of controlling your home with remote access. The controller is capable in communicating with a range of INSTEON/X10 and Z-Wave (with an upgrade) smart home devices, including: - Thermostats - Lighting - Door locks - Pumps - Irrigation - Energy monitors - Garage doors Supporting up to 255 devices, and with the ability to create up to 300 programs, ISY offers endless options in home automation. You may develop programs determined on time, day, sunset, sunrise, timers, forecast, temperature - just to name some of the specs. The ISY is conveniently able to be controlled via mobile devices, and Windows, OSX and Linux computers. You may also set it up for customized SMS/email notifications. Essentially, your home is in safe hands with the ISY and is completely defined by your comfort.